February 2, 2019 – The Patent Trial and Appeal Board (PTAB), in an ex parte appeal (Appeal No. 2017-002898), reversed the examiner’s § 101 rejection based on the USPTO’s new January 2019 subject matter eligibility guidance. 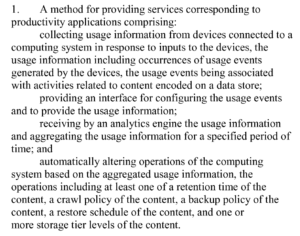 On November 2, 2011, Microsoft filed a U.S. patent application entitled “Extensibility Model For Usage Analytics Used With A System.” As explained in the appeal brief, the application describes methods and systems for configuring usage events to collect usage information and integrating the usage information into a system to provide, for example, a search service that provides search results based on the collected usage information. During prosecution, the applicant overcame rejections under 35 U.S.C. §§ 101, 102, and 103, and a notice of allowance was issued on April 7, 2014. Then, following the Supreme Court’s Alice Corp. Pty. Ltd. v. CLS Bank Intern. decision on June 19, 2014, the examiner issued a non-final Office Action withdrawing the allowance on July 30, 2014. The Office Action included only a new § 101 rejection alleging that the claims were directed to an abstract idea under Alice. After several additional amendments and office actions, the applicant filed a notice of appeal, on May 17, 2016, appealing the § 101 rejection as to all claims. In the Examiner’s Answer to appellant’s appeal brief, the examiner asserted that “[t]he claims are directed towards a method for collecting usage information which includes an abstract idea” and “[t]he claims do not include limitations that are ‘significantly more’ than the abstract idea.” The PTAB disagreed. Prong Two: evaluate whether the claim integrates the judicial exception into a practical application. 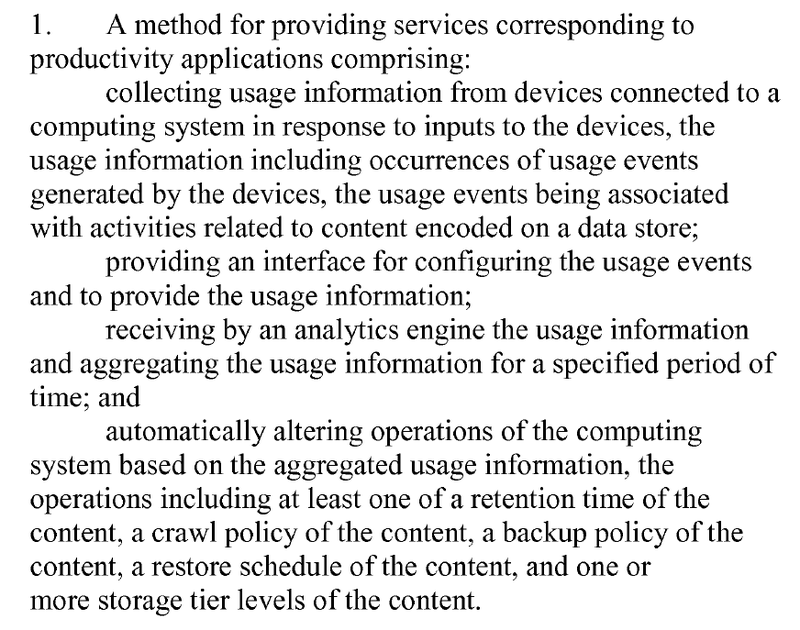 The PTAB took note of these new prongs, and in particular, the three abstract idea groupings: (i) mathematical concepts, (ii) certain methods of organizing human activity, and (iii) mental processes. The PTAB then found that “[i]n light of our guidance, because collecting usage information is not a mathematical concept, an identified method of organizing human activity, or a mental process, we conclude ‘collecting usage information’ it [sic] is not an abstract idea.” Accordingly, the PTAB reversed the § 101 rejection as to all claims. This marks the first time that PTAB has reversed a § 101 rejection under the recently issued subject matter eligibility guidance. [i] Whether it also signals a shift in PTAB decisions to come, remains to be seen. [i] See also ex parte Rockwell, Appeal No. 2018-004973, Jan. 16, 2019, which predates ex parte Fanaru by about one week, but it seems that it was not available in online searches until a later date. Click to view the Decision on Appeal. Previous PostBanner & Witcoff, three attorneys receive top rankings in the 2019 World Trademark Review 1000Next PostAthena v. Mayo: Are Pure Diagnostic Claims per se Ineligible for Patenting?